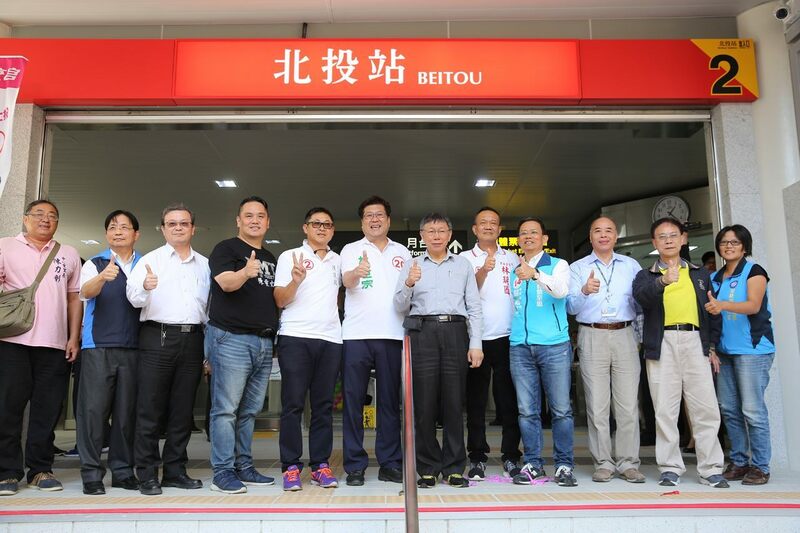 On October 28, Mayor Ko Wen-je attended the inauguration ceremony for the recently completed Exit 2 at the MRT Beitou Station. During his address, the mayor expressed his gratitude to the Department of Rapid Transit Systems (DORTS) and the project team responsible for the construction. One of the challenges for the project team, noted the mayor, is to carry out related work between midnight and 4 PM during the entire period. This significantly decreases the overall speed of construction efforts, and the city government will look for ways of improving the approach for future projects in similar areas. Regarding requests by city councilors to add additional exits to MRT Mingde Station, the mayor remarked that he has instructed DORTS to assist in the matter. He promised that the city government will expand the number of exits at the MRT station if there is a need among local residents. Ko pointed out that as one of the earlier rail network in Taipei, the initial design for the majority of stations along the Red Line comprises a single entry/exit point. However, with the development of urban areas and requests from citizens reflected through local leaders and representatives, the city government will evaluate the requests and devise corresponding plans if the demand is proven reasonable. Boasting a daily passenger flow of 38,000 people, the new exit will help divert crowd flow and making the entry and exit speed faster at the station. Also, the new exit will also open up new business opportunities in the vicinity of the station.